Last week I made my first shopping on Netaporter.com. I never thought I could find a bargain deal famous with exclusive-shopping-experience website Net a Porter. You already know that they don’t emphasize “Sale”. Almost never. They have a short term that they have in sale mode. Sale season in Net a Porter starts around Thanksgiving and It goes until end of February (I guess so). As always I was browsing my Shopstyle app. Then Miracle happened. I saw these Aquazzura snow boots discounted from $850 to $139 (tax not included). I was already put my eye on these Aquazzura snow boots because of Something Navy’s latest Instagram shot. Running some errands before the nursery install today! ? They are quite different but they have same Bohemian style which I love. Finally I found snow boots that look not hideous. So here are my snow boots after I saw there are 3-5 snowflakes flying around, I just put my beautiful boots to rock them. They so comfy and best boots ever not make my feet sweaty as I expected. 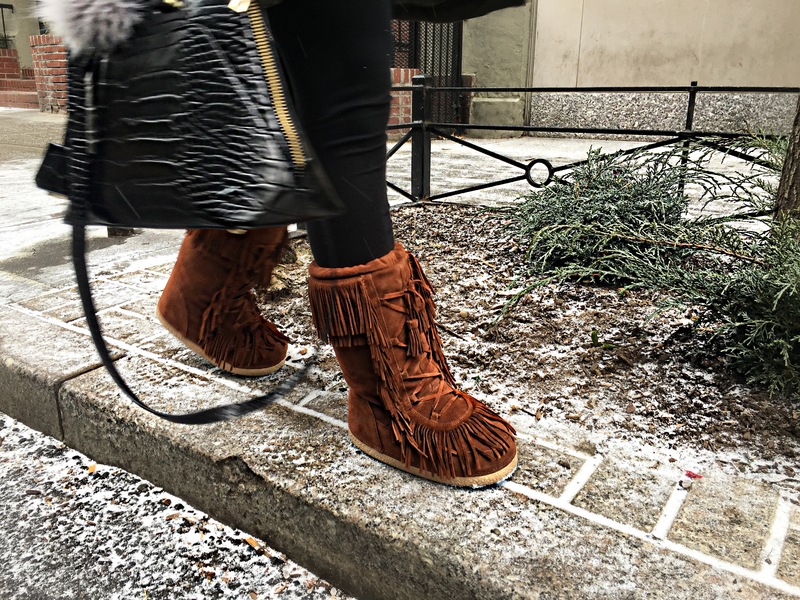 Sweat issue is the worst when It comes to winter shoes. When your feet get sweat, you feet are getting colder and colder which I hate. 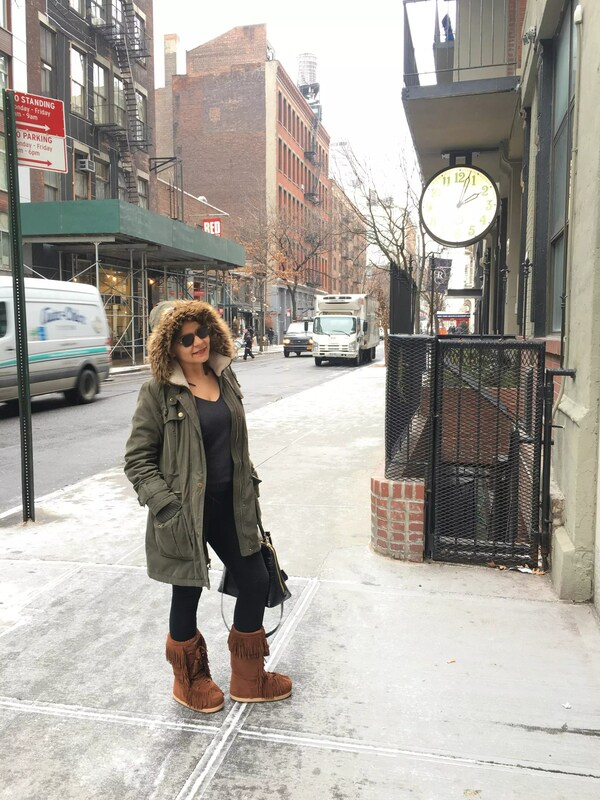 Btw you can take a look “my designer snow boots list“.